If you have ever referenced the Pannekoeken Building, the Days Inn, the Carlton Hotel, or that old building across from Rochester Methodist Hospital, well then you are already well acquainted with one of the only remaining historic hotels in downtown Rochester. And if you read the news every day, you are now aware that a demolition permit has been filed with the city to raze this charming, yet outdated, part of our urban landscape. Replacing it will be some larger structure of indeterminate size. I say that because even though there is a demolition permit, there is no firm plan for what will replace it other than vague renderings which are in such a state of flux that the overall height of the building seems to change daily. Not that you will ever be able to tell how tall or big the future project is, in fact. That is one of the many paradoxes of urban development. Developers view parcels and buildings as footprints. They view each footprint through the lens of profit and loss and determine a project's feasibility based on this economic analysis. Often, as the market demands, more and more parcels are combined and project proposals get larger and larger footprints. But humans don't perceive footprints. We view buildings as objects in and of themselves, or a frame through which we see other things. Often we are most intimately aware of buildings at street level, where we know the shops and activities that happen within each structure, not the rent or CAM expenses. Places like the Carlton Hotel building are what give Rochester its identity. A glossy rendering or flashy animation is fun to look at, but has no substance. The much more powerful story, with lasting impact, is the narrative that accompanies the Carlton Hotel. Sure the building has been undergoing demolition through neglect for years, but that doesn't mean it still doesn't hold some power to create a distinct imprint on the minds and hearts of our more than 110,000 citizens (or almost 3 million visitors). Treating a development as simply a function of internal rate of return or capitalization rate is to ignore the longitudinal impact that these buildings have on our cities. These facades form the backdrop of our daily life; they are the setting in our urban play. They help to form lasting memories and provide us with unconscious wayfinding as well as a sense of place. There is a reason nobody is telling friends and loved ones back home of a Kwik Trip on West Circle Drive, however they reference the funny named restaurant with great ambience in an historic hotel. I believe this property lends itself well to adaptive reuse. Adaptive reuse is more difficult, I will admit. Most things that are worth doing aren't the easiest. It sure is harder to eat right and exercise than to wolf fast food in front of the TV. But a challenge is different than an impossibility. It may seem impossible because the market will not "take care of it." Thus it needs someone to intervene on behalf of the community. A champion for progress that also values preservation and adaptive reuse. Or an elected body with the power to veto such an action precisely because it is not in the public interest to further erode our collective identity. If you have read the 700+ pages of the DMC Development Plan, you would know that there is even a section that addresses historic preservation. Among the items included in the document is a map showing a selection of properties or historic sites. It isn't a very long list. Of the hundreds and hundreds of buildings within the DMC Development Plan boundary, listed are 27. Ignoring for the moment any quibbles about what properties might have been excluded or how the criteria were established, these 27 sites are the proverbial cream which has risen to the top. Consensus reached: let's preserve these properties. This soon to be demolished Carlton Hotel made that exclusive list. Ironic. We are attempting to create a city that respects and values who we are as a people during this time of transition and growth. 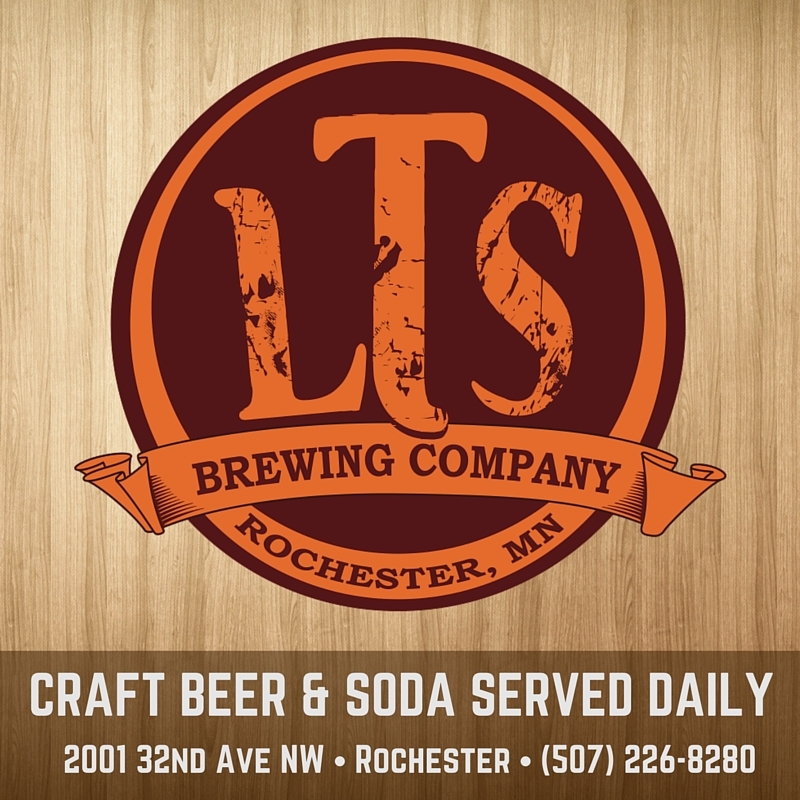 Part of that is ensuring an authentic Rochester experience. We don't have a warehouse district. We don't have old grain mills that can be converted to housing. We do have one old, boutique style hotel. And it just so happens to be on the select list of buildings to preserve. And we are proposing to tear it down. I am by no means an expert, but I do have some experience with adaptive reuse of old buildings. I can see such potential in this undervalued edifice; and the block as a whole. The grandiose ground floor with high ceilings can be home to small retail shops and unique restaurants (including Pannekoeken for as long as they wish to remain). The upper floors could be repurposed into a modernized boutique hotel. Or openings could be cut between floors to create dynamic urban lofts style condos. 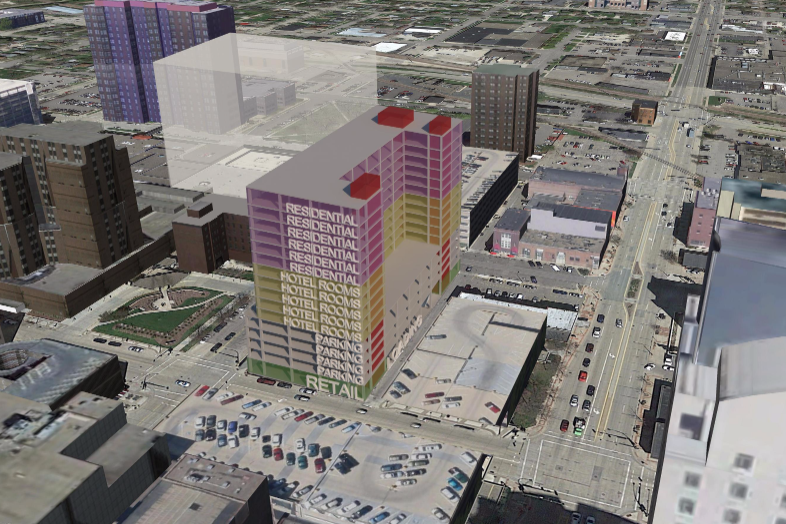 The parking lot to the north is a prime opportunity for the kind of soulless high rise that is being proposed. I believe the two can be complimentary. I believe because I have seen much more done with much less. Maybe I am just a myopic architect who over-appreciates boutique hotels like The Hotel Phillips in Kansas City, MO, The Eldridge Hotel in Lawrence, KS, the Ambassador Hotel in Milwaukee, WI, The Charmant in LaCrosse, WI (really anything by the Aparium Hotel Group), or countless other examples nationwide. Or maybe, as I suspect, there are others who agree with me. If you do, please speak up. Boldy state that we stand for preservation of our few remaining historic landmarks instead of scrubbing entire blocks to make way for "progress" spurning centuries of city building that relied on incremental growth. Adam Ferrari is an architect living in Rochester.